areas it starts to flower in January. country, but are more common in the South. 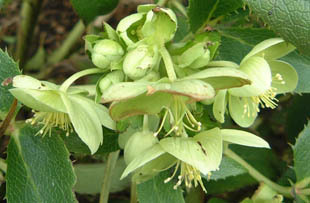 It grows in woods and hedges on lime and in shade. 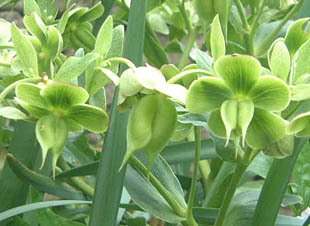 Green Hellebore is a native, perennial, herb growing to 40cm. appear just before the leaves. 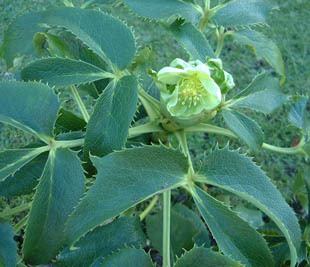 The palmate, toothed leaves are dark green and tough. 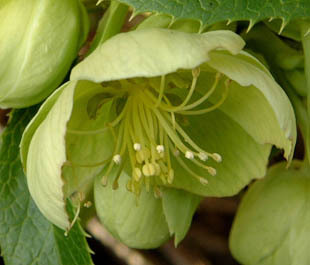 wild it is a mixture of native and naturalised plants. copses and the reduction in coppicing.